The families of the so-called Citgo 6 complain the men are being held in inhumane conditions, sharing overcrowded basement cells built for 22 people with nearly four times that number of inmates. Dennysse Vadell sits between her daughters Veronica, right, and Cristina holding a digital photograph of father and husband Tomeu who is currently jailed in Venezuela, in Katy, Texas, Friday, Feb. 15, 2019. Tomeu Vadell is one of six executives from Houston-based Citgo who has spent 15 months jailed in Venezuela on what their families say are trumped-up corruption charges. A faint voice comes through the crackled phone line. 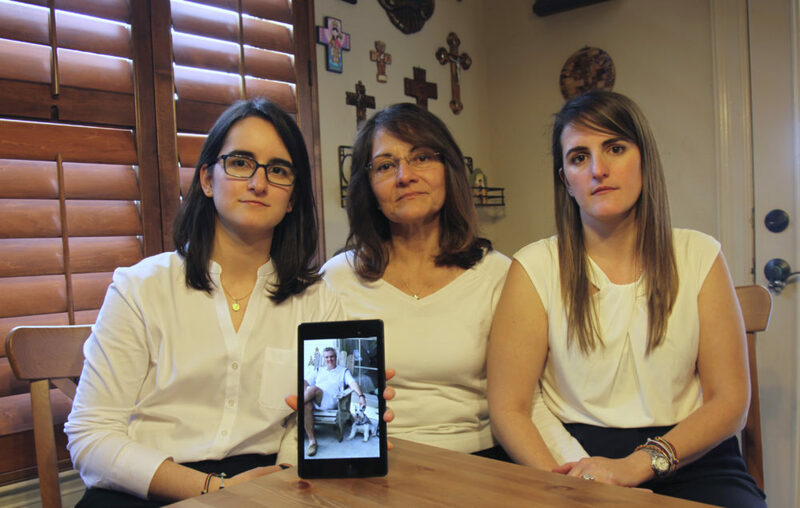 On the other end, Tomeu Vadell, speaking from a military counterintelligence prison in Venezuela’s capital, asks his daughters in Louisiana whether they’ve gone to church and says he plans to spend his Sunday doing pushups to keep his body and spirit intact. “He always tells us they can take away his freedom but never his dignity,” said 27-year-old Cristina, who has followed in her father’s footsteps and is an oil engineer in Lake Charles, Louisiana, where she has lived most of her life. As the Trump administration plunges ahead in its effort to unseat Venezuelan President Nicolas Maduro, the fate of the executives — five of them, like Vadell, American citizens with deep roots in Louisiana and Texas — lies in the balance. As does that of the American company they worked for, Citgo, a subsidiary of Venezuela’s state-run oil giant PDVSA, and a major prize in the power struggle between Maduro and a rival the U.S. recognizes as Venezuela’s rightful leader: Juan Guaido. The families of the so-called Citgo 6 complain the men are being held in inhumane conditions, sharing overcrowded basement cells built for 22 people with nearly four times that number of inmates. They say the crowded conditions require the men to sometimes sleep on the floor and go without access to fresh air or sunlight for weeks. Vadell’s family says he has lost more than 60 pounds due to malnutrition. In a photo snapped clandestinely with a cellphone last month and provided to The Associated Press, he looks like a prisoner of war with sunken eyes and cheeks, a green army jumpsuit hanging from his gaunt frame. 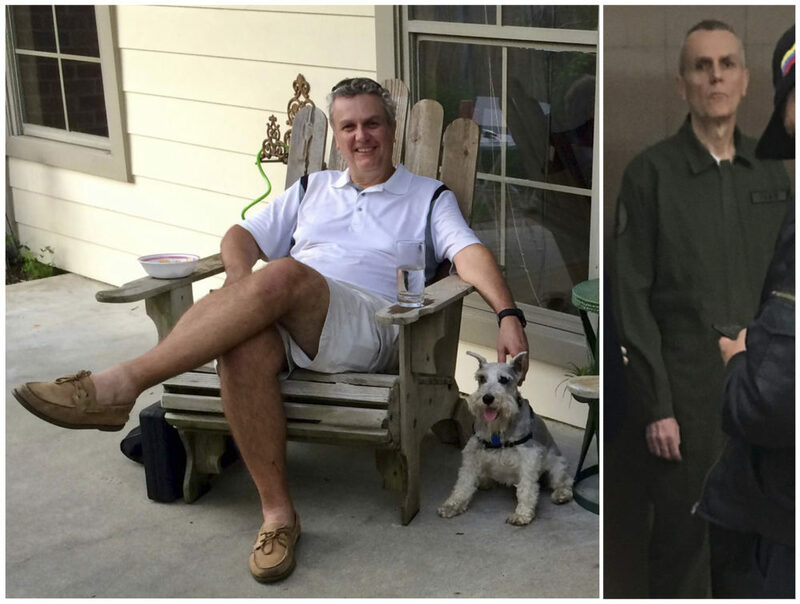 This photo combo shows Citgo executive Tomeu Vadell at his home in Lake Charles, Louisiana in July 2015, left, and three and a half years later while in confinement in a Venezuelan jail in January 2019. Vadell’s family says he’s lost more than 60 pounds due to malnutrition since he and five other Citgo employees were arrested, for alleged embezzlement and treason, during a meeting at Venezuela’s state oil company PDVSA the weekend before Thanksgiving in 2017. The photo at left was provided by Tomeu’s daughter Cristina, and the photo at right was obtained by The Associated Press. Their case shows no sign of advancing. A preliminary hearing has been postponed 12 times for little apparent reason, leaving the families to question whether their loved ones are being held as pawns in a high-stakes political negotiation. The next hearing date is Wednesday. The families’ saga began the weekend before Thanksgiving in 2017, when Vadell and the other executives got a call from Nelson Martinez, then head of PDVSA, asking that they travel to Caracas for a last-minute budget meeting. The group flew out on a corporate jet. They included Vadell, vice president of refining; Gustavo Cardenas, head of strategic shareholder relations as well as government and public affairs; Jorge Toledo, vice president of supply and marketing; Alirio Zambrano, vice president and general manager of Citgo’s Corpus Christi refinery; Jose Luis Zambrano, vice president of shared services; and Jose Angel Pereira, the president of Citgo. What happened next upended the families’ serene lives. A group of armed and masked security agents rushed into a PDVSA conference room and arrested all six executives. Hours later, Maduro’s attorney general appeared on state TV announcing charges of embezzlement stemming from a proposal to refinance some $4 billion in Citgo bonds by offering up a 50 percent stake in the company as collateral. 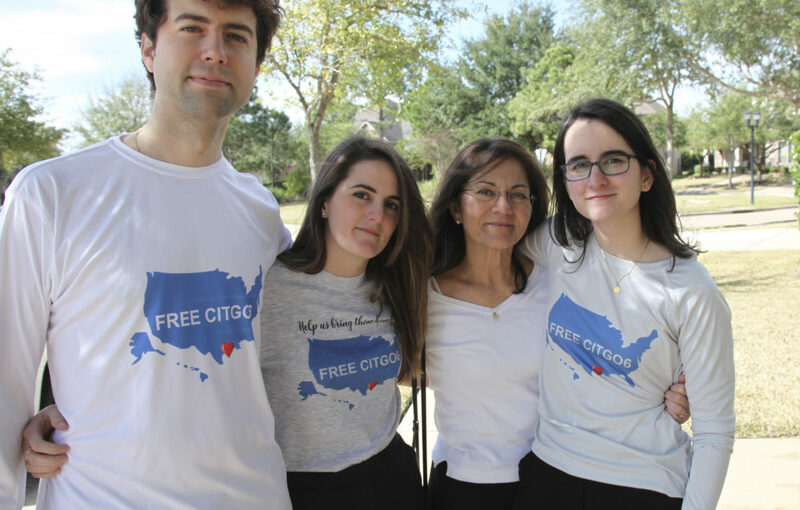 Wearing T-shirts with the message “Free the Citgo 6,” the Vadell family poses for a photo in Katy, Texas, Friday, Feb. 15, 2019. From left are Hayes Weggeman, his wife Veronica Vadell, his mother-in-law Dennysse Vadell and sister-in-law Cristina Vadell. Dennysse’s husband and her daughter’s father Tomeu, a Citgo executive, has spent 15 months jailed in Venezuela along with five other Citgo executives on what their families say are trumped-up corruption charges. Then Maduro himself accused them of “treason,” though they have not been charged with that crime. The arrests kicked off a purge inside Venezuela’s oil industry that a few days later saw Martinez, the PDVSA head, and a former oil minister among dozens others jailed. In Martinez’s place, Asdrubal Chavez, a cousin of the late President Hugo Chavez and close ally of Maduro, was named Citgo president. In December, Martinez died in state custody, further alarming the families of the Citgo employees. Citgo, which controls about 4 percent of the U.S.’ refining capacity, has provided almost no support to the jailed executives despite an indemnity agreement that obligates it to act on the men’s behalf, according to a current Citgo employee speaking on the condition of anonymity for fear of being punished by the company. In the ensuing months, Citgo also terminated their pay, the employee said. “The only communication I had with Citgo when this happened was they called to tell me not to go to the media and that they were going to every house to pick up the company cars,” said Maria Elena Cardenas, whose husband is among those jailed. 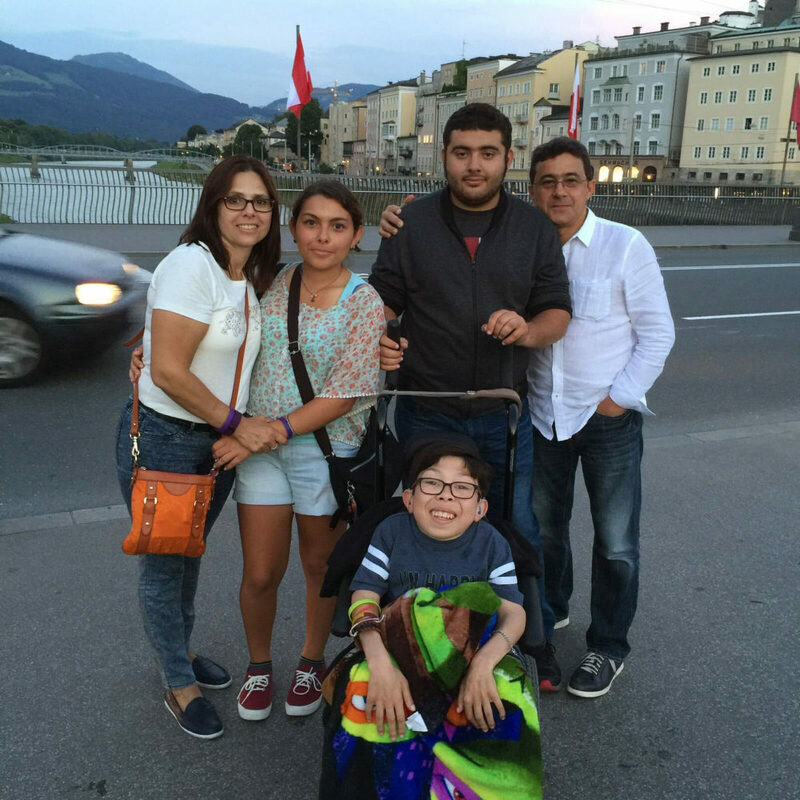 In this summer 2016 photo provided by Maria Elena Cardenas shows her, far left, and her husband Gustavo Cardenas, far right, with their children Maria, left, Gus, right, and Sergio, below, as they vacation in Austria. Since Venezuela’s government arrested Gustavo and five other Citgo employees in November 2017 in Caracas, their 18-year-old son Sergio, who suffers from a rare metabolic disease called mucolipidosis, has been having panic attacks and screaming at night for his Dad. Maria fears that he could die before his father’s release. A battle is now raging at Citgo headquarters, the employee said, as a result of U.S. sanctions on PDVSA last month that effectively block American companies from buying Venezuelan oil, diverting any payments into an escrow account controlled by Guaido, who the U.S. and dozens of other countries recognize as Venezuela’s interim president. Most of the employees loyal to Maduro have left, while any reference to PDVSA has been scrubbed from the company’s facilities, along with portraits of South American independence hero Simon Bolivar. Maduro has vowed to defend Citgo from seizure, saying it belongs to the Venezuelan people. His attorney general last week filed criminal charges against the new PDVSA and Citgo boards appointed by Guaido. The U.S. is keeping a tight lid on whatever efforts it has undertaken to help the men. American consular officials have been repeatedly denied access to them in jail because the Vienna Convention doesn’t obligate Venezuela to recognize their dual American nationality. U.S. officials have raised concerns in diplomatic notes and meetings with the foreign ministry, said a U.S. official who spoke on condition of anonymity because he wasn’t authorized to discuss the case. Some family members wonder if the U.S. could be doing more. Venezuelan human rights groups don’t include the men among the almost 1,000 people classified as political prisoners, and the hushed approach contrasts with the very public diplomatic push that secured the release last year of Joshua Holt, a Utah man who was held for more than two years in a Caracas jail on weapons charges that were also seen as bogus. A Venezuelan official who regularly fielded U.S. complaints in the Holt case said Americans have been largely silent with regard to the Citgo employees. He spoke on the condition of anonymity because he isn’t authorized to speak to the press. “We are grateful for the people who continue to help us, but we’re not convinced the U.S. government is taking these Americans into account when making policy toward Venezuela,” said Veronica Vadell. For Maria Elena Cardenas time is running out. Her 18-year-old son, Sergio, suffers from a rare metabolic disease that has stunted his physical growth. Since his father’s arrest, he has been having panic attacks and screaming at night. The two traveled to Caracas recently at great risk to Sergio’s health for a two-hour jailhouse visit to calm the teen’s nerves.